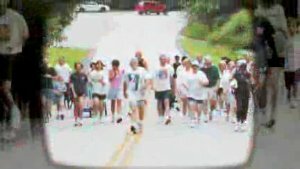 The Lake Berkeley Chapel has announced the fifth Fall Fun Run. This event will be held on Saturday, September 15th 2007 (rain date is September 22nd). Assembly begins at 8:00am with the race starting at 8:30am. Special note: local Girl Scouts will also be joining us this morning to conduct a bake sale.